The Catholic Church has always been an advocate of human reason. Unlike the Enlightenment thinkers, however, She has always taught that reason is properly subordinated to Revelation. 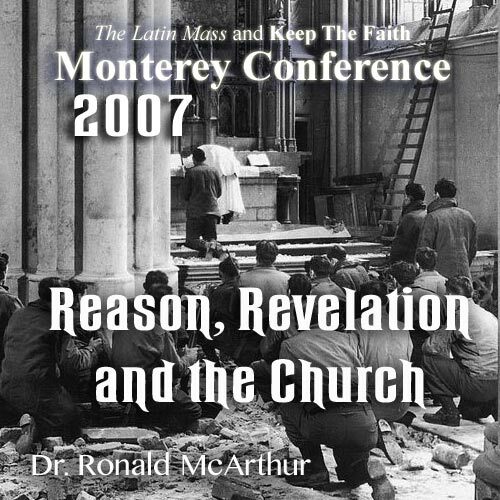 Dr. Ronald McArthur examines the role reason has played in the Church since its foundation. He shows that no one has been as sensible as the Catholic Church in evaluating the role of human intelligence. This address was given at the 2007 Monterey California conference.